This year Purge franchise fans will get to see how it all began in "The First Purge," out in theaters July 4. Thisfunktional has some advance screening passes for July 2 at 7:30 p.m. to give away, so grab them before they are all gone. Next Independence Day, witness the rise of our country’s 12 hours of annual lawlessness. 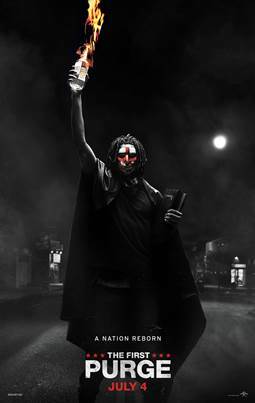 Welcome to the movement that began as a simple experiment: "The First Purge." To push the crime rate below one percent for the rest of the year, the New Founding Fathers of America (NFFA) test a sociological theory that vents aggression for one night in one isolated community.